Former Senator David Leyonhjelm’s political career hangs in the balance, as his bid to be elected to the NSW Upper House comes down to the wire. Mr Leyonhjelm claimed victory in his quest for an Upper House seat two weeks ago, but as counting reaches its final stages, success for his Liberal Democrats is anything but certain. In a blog post titled “a manifesto for a crossbencher”, Mr Leyonhjelm announced it was “evident” he had been elected and said he would be willing to work with the Berejiklian Government. “I have a long list of things I would like to see changed,” he wrote. “So when the Government comes seeking my vote, I will bring out my list. His chances of securing a spot in NSW’s Legislative Council are looking increasingly unlikely. So far, the Liberal Democrats have secured just 0.46 of a quota, or just under half the votes they need to win a seat in the Upper House. That means Mr Leyonhjelm has to rely on preferences to make up a full quota and he will have to wait until Monday morning to hear the results of the Electoral Commission’s final count. Eighteen of the 21 seats in the Upper House are clear — with the Coalition winning eight, Labor six, the Greens two and one each for One Nation and the Shooters, Fishers and Farmers. ABC chief election analyst Antony Green said three seats were still up for grabs. “The final three seats will be decided by preferences … Labor is expected to win one of these seats, electing a seventh member,” he said. “In the race are Christian Democrat MLC Paul Green, One Nation’s second candidate Rod Roberts and former Liberal Democrat Senator David Leyonhjelm. One Nation has already secured 1.42 quotas, so it is likely the party could win enough preferences to make up two full quotas and secure a second seat. That would leave the Christian Democrats, the Liberal Democrats and the Animal Justice Party in a three-cornered race to win the last seat. 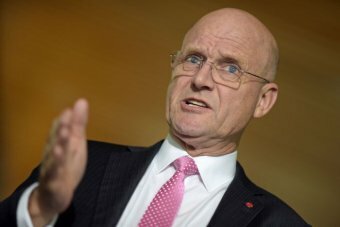 Mr Leyonhjelm declined a request to be interviewed by the ABC today, saying he will not comment until the final count is known on Monday. According to his blog post, voluntary euthanasia, the right to carry weapons, increasing speed limits, legalising cannabis and easing restrictions on e-cigarettes are among his priorities if elected. If Mr Leyonhjelm’s ambitions for the NSW Upper House are thwarted, he could always have another tilt at the Senate in the May Federal Election. Nominations close at noon on April 23.